Groundbreaking for the construction of Cosmed Group in Las Americas Free Zone. At the beginning of 2018, Cosmed Group and Las Americas Free Zone signed an agreement for the start of construction of a8,500 meter facility that will provide sterilization services to third parties in the Dominican Republic, being the first in the country of its kind. 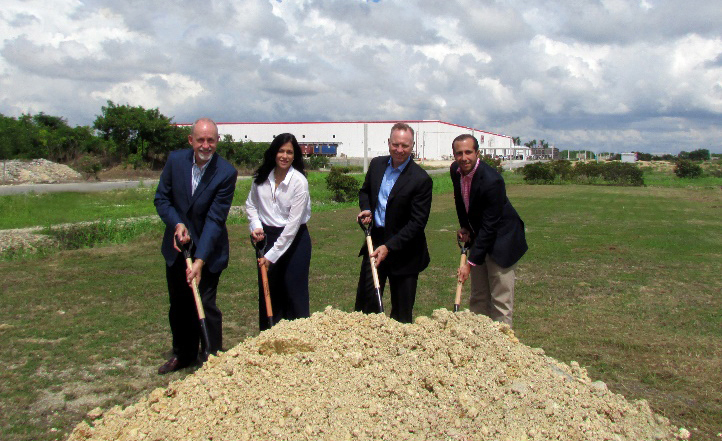 Last Friday, October 12, the CEO of Cosmed Group, David Howe, and its Commercial Director, Clark Houghtling, together with the President of Las Americas Free Zone, Claudia Pellerano and the Commercial Director, Luis Manuel Pellerano, made the ground breaking and tape cutting, inaugurating the construction. "The arrival in the country of this service in the hands of a world-renowned company marks a milestone in the medical device manufacturing industry in the country and will make the Dominican Republic a more competitive destination to attract new investments in this important and demanding segment" -Claudia Pellerano.